What we particularly want to touch on is why and how the transition has been made from a theory of colonialism to wanting integration into Turkey. Here, something else must be mentioned. In and of itself, this statement is approximately correct. “Turkish colonialism”, imperialism and Kurdish collaborators are all described as a target, even if a correct and unambiguous formulation has not been used. However, the PKK’s practice has never developed inside this framework. First of all, the PKK has in no way openly opposed imperialism, and if it is a question of “Turkish colonialism”, this is always presented as the main target. As a consequence of this logic, imperialism is always presented as a secondary target. In the PKK’s history there has never been a tactic of fighting imperialism. It looks on the Turkish oligarchy as though it had seized colonies outside of Kurdistan’s borders, for example like the relationship between the USA and Vietnam. From this analogy, the liberation of Vietnam did not see the destruction of US colonial power as an aim. Also, the PKK sees overthrowing the oligarchy in Turkey as a secondary matter or shows no interest in it at all. And if the oligarchy maintains itself in power, the PKK develops the strategy of trying to take Turkish Kurdistan away from it, and to impose this upon it. But the drawback of this is that the relationship between Turkey and Kurdistan is not the same as the relationship between the USA and Vietnam! Without taking account of the oligarchy’s relations with imperialism, and its economic, political, cultural and military dimension, one will get into endless difficulties if one tries to put the “Turkish” dimension of this in the foreground and build an entire strategy upon it. Inside the oligarchy there is no “Turkish” national purity, despite all the bourgeois demagogy that is deployed. So for this reason it is clear that a strategy that is not aimed at overthrowing the oligarchy and the imperialism inseparable from it will not be able to free Kurdistan. This is actually one of the most important contradictions in the PKK’s theory of colonialism. In China and Vietnam, which are always cited as examples by the PKK, an actual struggle against imperialism was conducted. Whereas in the quote above, the place of imperialism was not clearly defined. One must ask what this analysis considers the influence of imperialism to be. Is Turkey, which is militarily, politically, culturally and economically dependent on imperialism, the determining force, or is it imperialism itself? The publications of the PKK do not answer such questions. Today, no answer will be forthcoming. 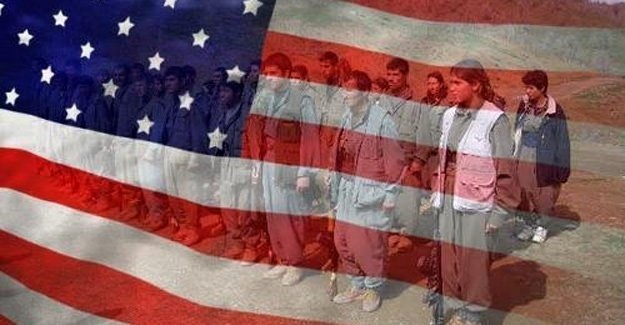 For the reason that the PKK sees the USA or Germany as forces that might resolve the Kurdish question. Now we have to ask whether the genocides and massacres the oligarchy has unleashed against the Kurdish people for years are independent of the politics of imperialism? Is that the case today? This question is not clearly answered. If it was, the PKK would have to adopt a clear attitude towards imperialism, that is, struggling against it. But as we will later quote in detail, the peace politics of the PKK require it to have relations with imperialism. Moreover, the PKK does not wage a serious struggle against the Kurdish rulers and major landowners, though it says it does. Nor has it waged a struggle based on the land question. This means that the class content of the struggle has completely disappeared and on all sides it is narrowing down to mere nationalism.